This Will Finally Be The Year; Tony Romo Will Lead the Dallas Cowboys to Super Bowl XLVIII. By examining the possibility, rather than making it a joke, you must understand that Romo does not control all the “uncontrollables.” Let’s examine some losses in the 2012 season. In losses by one possession, the Cowboys allowed 29.2 points per game. In Week 6, a missed 51-yard field goal for the win after Dez Bryant dropped a two-point conversion led to a loss. In Week 8, a Dez Bryant pinky finger led to an incomplete game-winning touchdown pass. Romo threw for four interceptions, but put his team within a pinky’s length of a win. In Week 9, an Orlando Scandrick defensive holding penalty on third down with less than five minutes to go in the fourth quarter didn’t leave Romo with any time to orchestrate any type of comeback. Romo would have gotten the ball down by just three points. In Week 15, Romo threw for 416 yards and four touchdowns. The defense allowed 562 total yards to the Saints. They lost in overtime. Four games that could have gone either way, went the wrong way for Romo and the Cowboys. This is he point to where “Romo haters” jump to attack the quarterback, and the point where “Romo lovers” jump to defend the quarterback. But in the NFL, a league known for parody, the Cowboys could have also easily won those four games. So how can Romo lead the Cowboys to the Super Bowl? Everything must go his way. That is a bold, but possible statement. Super Bowl teams have things go their way. That Week 6 loss for the Cowboys was a Week 6 win for the Baltimore Ravens. The Ravens were also on the right side of games with a last second one-point win over the Patriots, a three-point win over the Steelers, an overtime win over theChargers and the double-overtime thriller in the playoffs against the Broncos. The Ravens had everything go their way. The Ravens also were aided by a championship-caliber defense. Imagine if Romo was the quarterback of that team? Would he have won a Super Bowl instead of Flacco? Now in 2013, the defense will be better for Romo’s Cowboys. The team is making the switch to the 4-3, a formation that will be key to the success this season. DeMarcus Ware will have his best year yet and will thrive in the new formation. Bruce Carter will continue his brilliance. High scoring offenses, like the Washington Redskins and the much-hyped Philadelphia Eagles will be slowed down by Monte Kiffin’s “Tampa 2.” Solid prediction: the Cowboys will have a top-10 ranked defense. So, if the Cowboys have a top defense, can Romo still do it? Yes. In 2007, Romo threw for a career-high 19 interceptions—the same number in 2012. In 2007, he threw for a career-best 36 touchdowns and 28 in 2012. Romo also threw for 4,903 yards in 2012. In 2007, he threw for 4,211 yards. Romo went 13-3 with a defense that allowed the 13th least amount of points per game, but still had several issues in the secondary. Would Romo have won a championship with the Ravens defense in 2007? Lastly, let’s take a look at the rest of what Romo can’t control. The offensive line: They will be better this year. Tyron Smith is now a year older and a year wiser. He’s only 22 and getting stronger by the second. He is entering his third season, and the city of Dallas believes he has a bright future. Smith is The Dallas Morning News finalist for Dallas-Fort Worth’s youngest sports stars with the brightest future. Just think, an offensive lineman beat out Morris Claiborne to make it to the final round of a bracket that included stars such as Dez Bryant, Bruce Carter, DeMarco Murray and the MLB’s top prospect in Jurickson Profar. Dez Bryant: Bryant will be the best receiver in the NFL. His stats have been drastically increasing each year, and he is motivated more than ever. With Jason Witten as the security blanket, Romo can look short, or stretch the field and hit his home run threat Bryant for a score. The Romo-to-Bryant connection will be unstoppable. Bill Callahan: Add him to Bryant and Romo. Callahan will utilize the pair like he did when the Raiders went to the Super Bowl with Rich Gannon and Tim Brown. If Callahan can go to a Super Bowl with Rich Gannon, he can go to a Super Bowl with Romo. Callahan will include Romo in the game-planing. 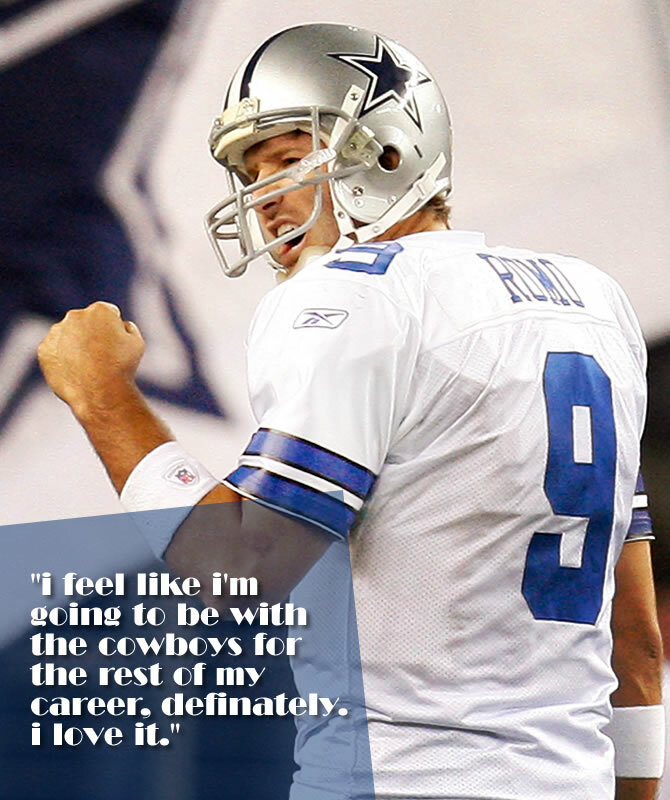 In a July article by Calvin Watkins of ESPNDallas.com, Romo told the The Journal Times that he will be more involved with preparing the offense for games. I think here going forward, I’ll just be more involved in game-planning. There are certain things I really believe can help us that we’re going to do some of that. It’s a collective group effort, and I think we’re all going to go in there and go to work. If you’ve watched Cowboys games, have you ever seen a snap when Romo wasn’t ready? Have you ever seen drive-killing offensive penalties? Have you ever seen missed handoffs? Have you ever seen the wrong route ran, then followed an interception? Romo is vowing to take care of these problems by getting more involved in the game-planning. 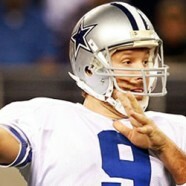 Romo will eliminate these mistakes, and his “uncontrollables” will be on his side. Romo will lead the Cowboys to Super Bowl XLVIII. Feel free to leave a comment in the comment section below.